For applications that require higher intensity and/or larger coverage area, Metaphase has developed a High intensity illuminator that mounts & interfaces directly to all the popular readers including, but not limited to Keyence, Cognex, Sick and Dalsa readers. By simply configuring the light with the appropriate mounting plate, it can be mounted directly to your image-based reader of choice. The light can be used in continuous & strobe mode and provides illumination intensity for maximum read rates. 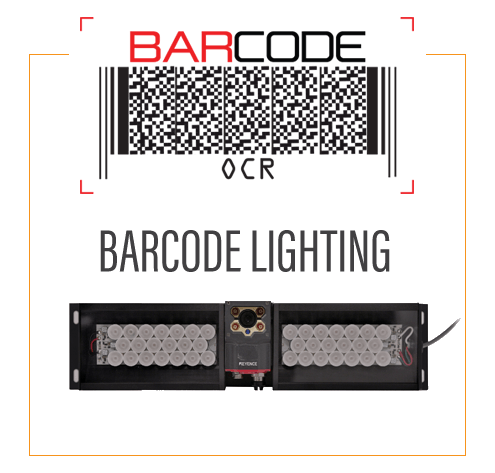 These illuminators can be configured with the LED color/lensing/diffuser/polarizing required to provide a homogenous, high intensity, non-glare image to maximize code-to-background contrast.